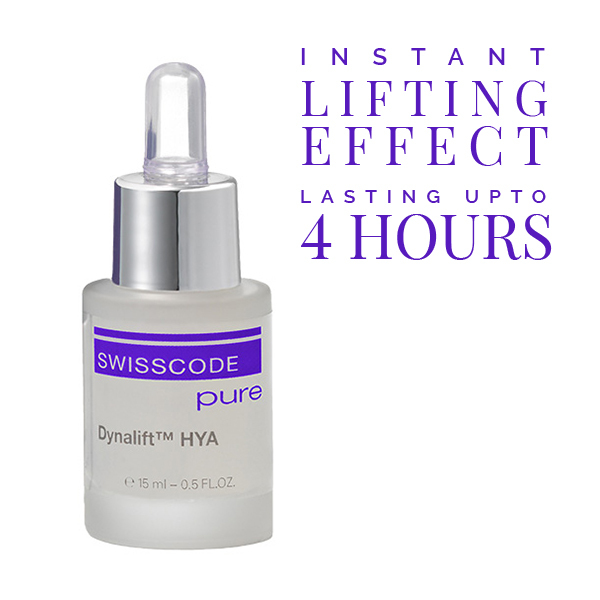 SWISSCODE Pure Dynalift is the perfect emergency remedy for tired looking skin. A key active ingredient, Sorghum Juice forms an invisible film on the skin’s surface for instant tightening, firming and radiance. Within 5 minutes wrinkles will be smoothed out and the micro-lifting effect will last up to 4 hours.